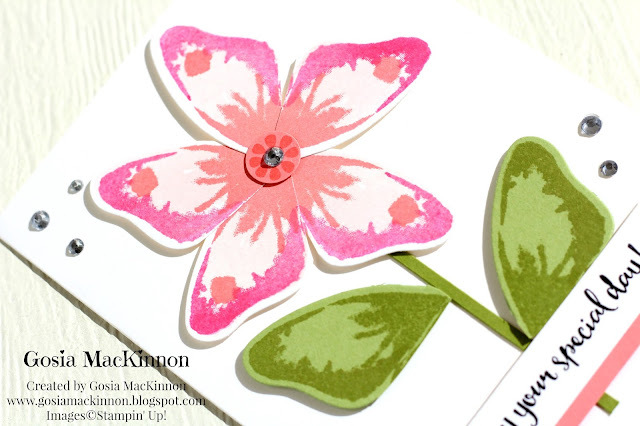 WATERCOLOR WINGS, BUTTERFLY METAMORPHOSIS BY STAMPIN' UP! 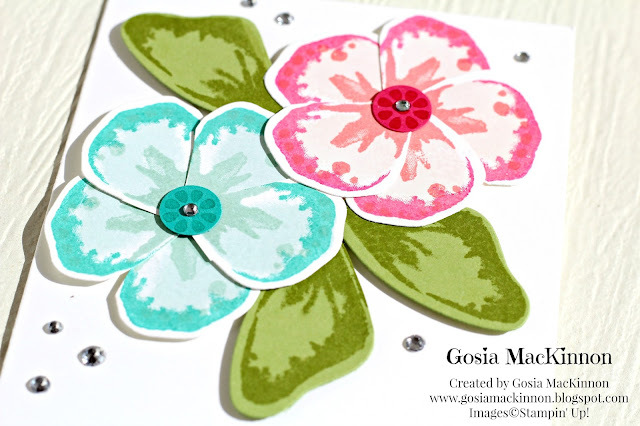 I would love to share with you how to use the Watercolor Wings Stamp Set by Stampin' Up! to make a beautiful flowers. 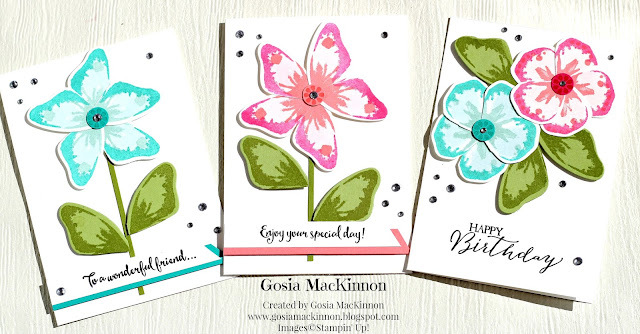 - CARD BASE- Whisper White Thick A4 Cardstock cut in half 5-7/8'' x 8-1/2'' (14,9 x 21cm) score and fold in half. 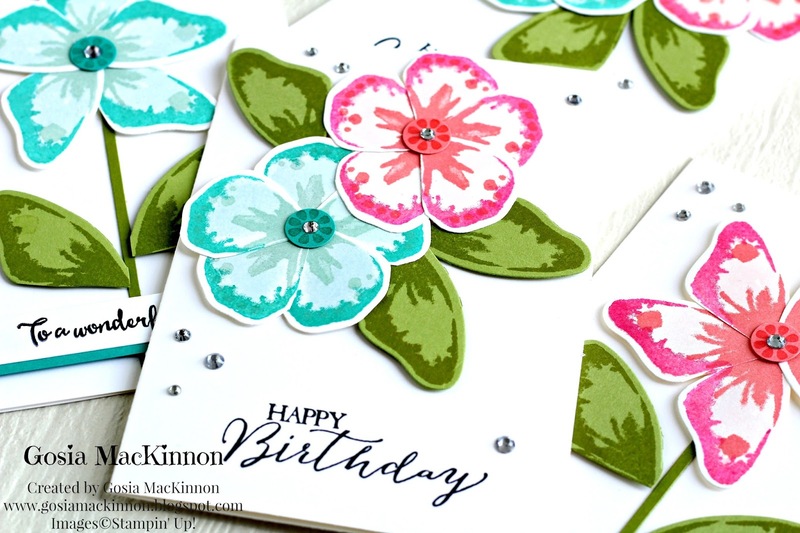 Using the Watercolor Wings Stamp Set and Stampin' Ink Pads: Soft Sky, Pool Party, Bermuda Bay or/and Pink Pirouette, Flirty Flamingo, Melon Mambo (Melon Mambo- stamp off stamp on) stamp a two butterflies on each colour. Stamp also one butterfly on Pear Pizzazz Cardstock using the same ink (wipe out the spot on top wings). Cut out the butterflies body then cut in the wings separate top wing and bottom wing like you see it on my pictures. Please watch my Video Tutorial how to make it.